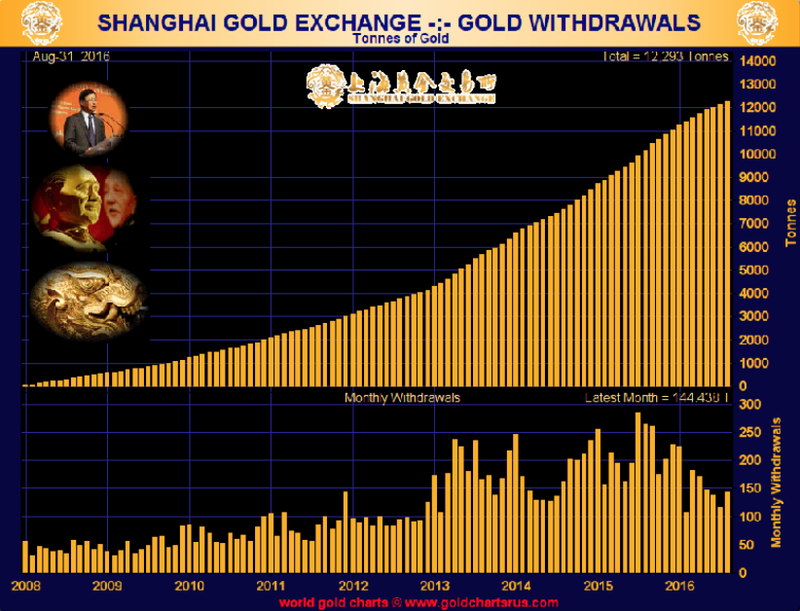 The selling of gold we saw last week was another desperate attack by the BIS and some central banks, together with the bullion banks, to manipulate the gold market lower. We saw over 40% of annual production of gold being sold last week which is 1,000 tons. The physical market continues to be strong which I will discuss further on. Obviously, the sellers had no physical gold to sell so they conveniently dumped all this gold in the paper market. It would have been totally impossible for them to do this trade in the real gold market which is only physical of course. 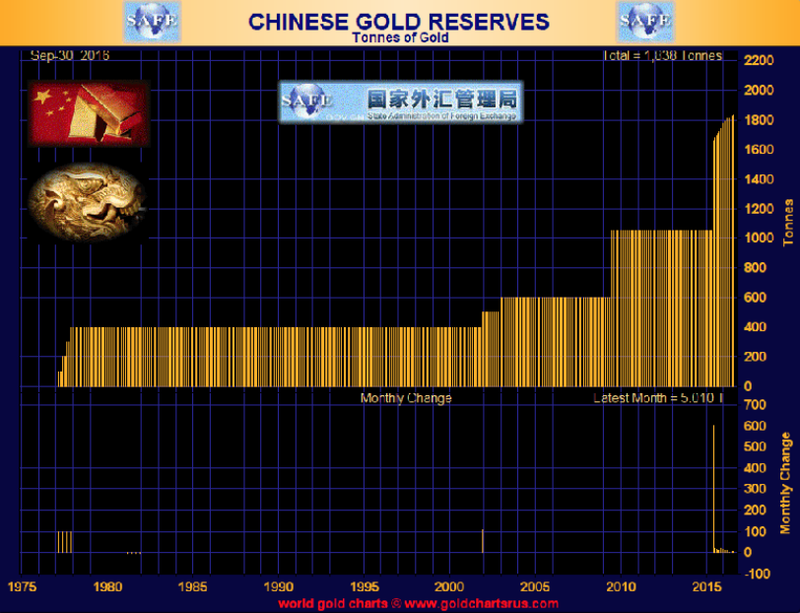 Western Central banks have no physical gold of any quantity to sell. This is why they must fabricate paper gold out of thin air in order to dump it in the market. In total these banks officially have around 23,000 tons of gold. I doubt they even hold half that figure. The rest is likely to have been sold covertly. No major central bank has had an official audit of their physical gold in modern times. Last time the US gold was audited was in the 1950s. A proper audit would not just reveal that these bank have a lot less gold than they officially declare, but it would also expose the true position of their gold lending or leasing. Most of the gold they have left has been leased to the market in order to depress the price. But this gold no longer stays within the LBMA bullion banks like in the past. No, instead the intelligent buyers of gold today like China, India and Russia take delivery. This means that the leased gold now becomes a paper claim with no chance of getting physical gold back. So what has happened in the physical market in recent years is that central banks have continuously depleted their physical stock by selling and leasing their gold with most of the buying having taken place in the East. This transfer from West to East is the reason why Western governments and central banks are desperate to keep the gold price down. Official gold is no longer held in “safe” Western hands that are easy to control. Instead the gold has been acquired by nations and people who understand the value of gold. These new gold buyers also know that it is the best protection against the total destruction of paper money that is taking place in our debt infested world. And the countries that are now buying gold are not sellers. The Russian government for example has been expected by the West to sell their gold every time they are under economic pressure. But if we look at the chart below, the picture looks very different. 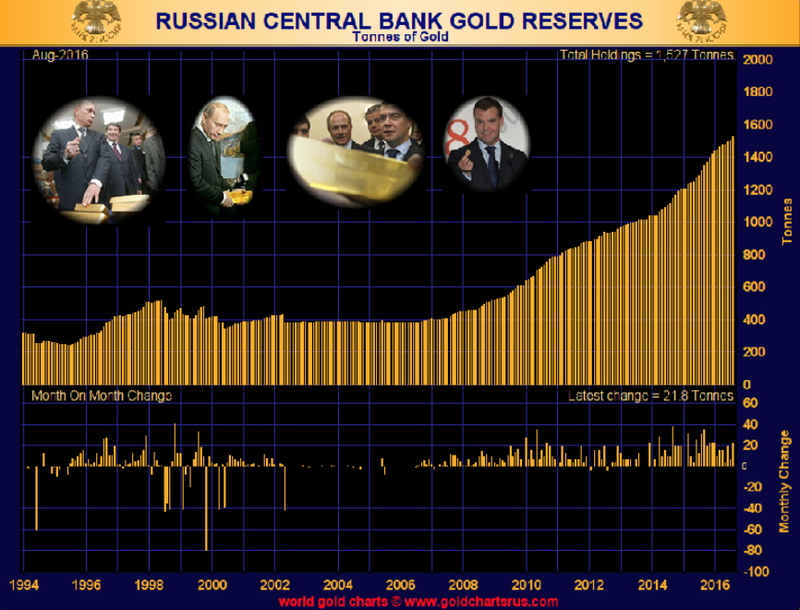 Since 2006, Russia’s gold reserves have gone up almost 4X. And it is the same in China. Official Chinese holding have increased more than fourfold since 2006 to 1,800 tons. 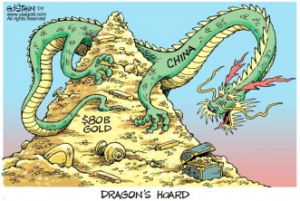 But since China has produced and imported over 11,000 tons of gold since 2009, it is assumed that the official gold holdings are substantially higher than the 1,800 tons reported, maybe as high as 8-12,000 tons which would be higher than the official 8,000 tons that the US holds. So whilst the West is dumping paper gold, the East is buying physical. And this is exactly what happened last week. Gold fell almost $100 on selling of massive amounts of paper gold. But something very different happened in the physical market. 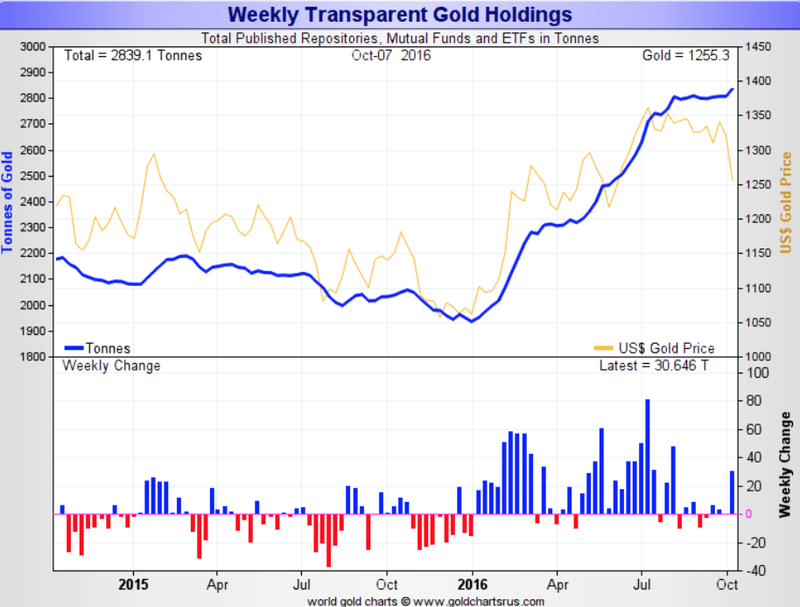 Mutual Funds and ETFs bought over 30 tons of physical gold last week. In total these funds have increased their holdings this year by over 46% or 900 tons to 2,840 tons. As we can see in the chart below, the buying by these funds has been strong all year. When gold corrected by $100 in May, their gold holdings continued to increase. As some speculative gold buyers are becoming nervous due to another manipulative attack in the paper gold market, the wealth preservationists see this as a real opportunity to add to positions in physical gold. We are seeing the same thing in our company with continued strong buying from investors who understand that what we have just seen is another desperate attack by the BIS and some central banks together with the bullion banks. When this group dump half a year’s physical gold production in a very short time, they know they temporarily can drive the price down. Banks can of course manufacture unlimited amounts of worthless paper gold and sell it to buyers who don’t understand the massive risk they are taking. But at some point, holders of paper gold will realise that they can’t get rid of it at any price. At that time, the price of physical gold will go up by hundreds of dollars or more in a day. Thus, last week’s takedown is absolutely nothing to worry about even if we see a bit more pressure. We have seen these manipulations time and time again in this bull market which so far has lasted 16 years and is likely to last at least another 5 years and maybe a lot longer. Tagged central bank gold, China gold holding, Russian Gold.